These trousers are made of sturdy cotton. They have an elastic waistband and cords at the end of the leg. They have two pockets. 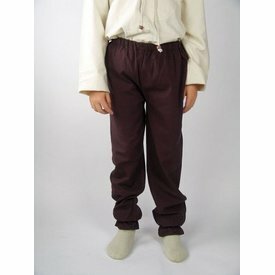 The trousers are available in black, brown, natural and sand.